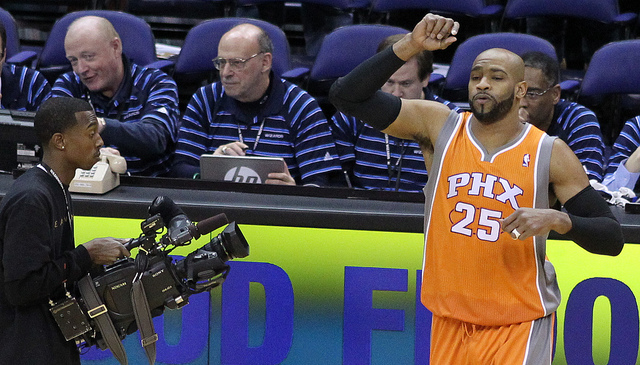 Vince Carter: Should Style Points Get Him to the Hoops Hall of Fame? The basic criteria for the Hall of Fame, for any Hall of Fame, will always be Fame. A spot on the list for “the best.” Vince Carter is not really one of the best basketball players in NBA history. He is, however, one of the best athletes in NBA history, and all respect to the pioneers of the dunk, the best dunking wing in NBA history. Grab your pitchforks. Even acknowledging the place for innovation — the earliest dunkers have to be acknowledged, the same way the earliest behind the back dribblers and the earliest jump shooters do — the tired notion that the first must be the best by virtue of sheer chronology is just that: a tired notion. No one’s disputing the brilliance of Dr. J or the schoolyard flash of Elgin Baylor (not that more than a small portion of still-living NBA fans ever saw him play), but Vinsanity was the best. In a perfect world, a world that respected the notion of fame when dealing with a hall of the same title, that would be enough. 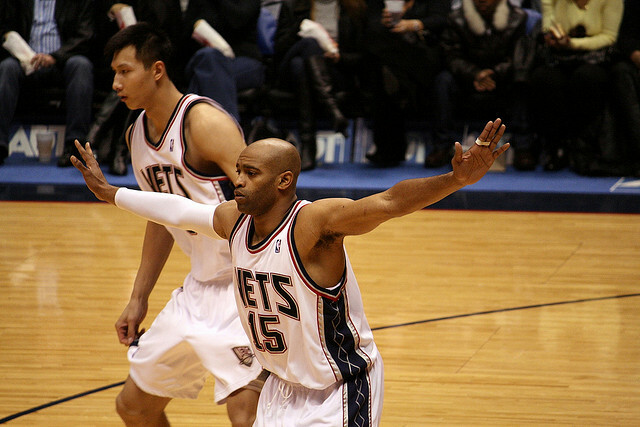 But we don’t live there, and Vince Carter remains the Rodney Dangerfield of the early ’00s NBA superstars. His HoF bonafides? They’re admittedly slim — Rookie of the Year, seven All Star Appearances, and a pair of All-NBA teams (third in 2000 and second in 2001, respectively), but to deny Vince Carter a place in the Hall of Fame would be to deny the fun factor of hoops — to give over to the soulless, evil Lombardi monster within all of us that says that winning is winning and everything else falls a distant second. That’s never true in any sport — although winning certainly trumps losing — and it’s especially false in a sport that has so much room for aesthetic excellence. See that? That video up there? That’s Vince Carter’s top 100 career dunks, courtesy of Vince Carter’s own YouTube account (or, at least, an account that has the cojones to pretend to be him.) That video may as well fall under basketball’s dictionary definition of aesthetic excellence alongside Ray Allen’s jump shot, God Shammgod’s handle, and Ricky Rubio’s passing. If you’ve got the time, definitely watch those videos. They’re fantastic. In his prime, Vince Carter attacked the rim like Gumby being fired out of an overpowdered cannon, and in many ways, that’s more important than win shares, true shooting percentage, efficiency, and other newly minted ways of looking at a basketball. Not to say that there’s nothing wrong with embracing advanced stats, but in real life, fans are often forced to deny the fun choice in favor of the responsible. Professional sports not only offer the opportunity, but are in some ways emotionally obligated to deliver us a reprieve from the rational, as we spend hours, months, and decades losing our voices and minds cheering for one jersey over another, donned by persons mostly unknown to us beyond their profession. Sports should be an escape from all of that, not a reinforcement. If winning is all that counts, fans better stock up on LeBron jerseys for the next ten years, because for the other 29 teams in the NBA, statistics have created an environment where NBA front offices have begun to devalue entertainment in a misguided attempt to play the numbers more favorably, but probably not win a championship. Statistics, in other words, have become the parent that forces you to get a degree in accounting. Vince Carter is from a world that rejects accounting, and instead majors in frisbee. Like it or not, Vince Carter really was half man/half amazing in his prime. Anyone that can garner note for his sheer athletic ability in a league like the NBA, which is made up of some of the best athletes in the known universe, probably deserves a Hall of Fame slot. While Carter may never reach the NBA Finals — he is now a 37-year-old free agent, since the Mavericks were dispatched by the Spurs in Round 1 — the documented footage of the absurd apex of his prime should still propel him into the wings of the Naismith monument to hoops.